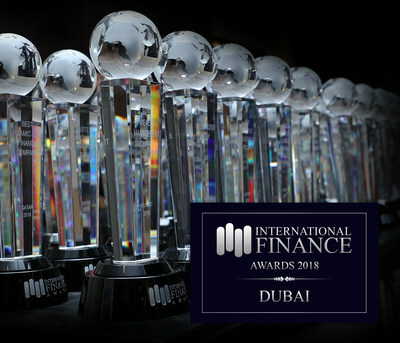 International Finance, a premium financial and business analysis magazine, hosted the 6th Annual International Finance Awards at the Jumeirah Emirates Towers, Dubai on 17th January, 2019. This year's ceremony was special as it stood testament to the company's growth over the years. For the first time, International Finance Awards received 1,000 nominations, marking the highest since inception. International Finance is pleased to have established an effective working relationship with a myriad of globally recognised firms, industry experts and thought leaders, which brings the company to a turning point. The ceremony will witness the presence of 200 world's top C-suite executives and significant others across sectors in the EMEA region. Sunil Bhat, Director, International Finance, said: "We are looking forward to the ceremony today. It is, in fact, a great opportunity for International Finance and our clients across various sectors to gather, greet and collaborate with each other." "We are delighted to extend our felicitations to the winners of 6th Annual International Finance Awards 2018 and celebrate their excellence." Over the last three years, International Finance has established a strong presence in the Asia Pacific region. After conducting successful ceremonies in Singapore, the 6th Annual International Finance Awards Asia Pacific will be held in Thailand for the first time. The event is scheduled to be held on January 25, 2019 at the Grand Hyatt Erawan, Bangkok, with an estimated 200 C-level executives from the region's leading companies expected to attend. The nominations for the 7th Annual International Finance Awards 2019 will open on February 1, 2019.